A disorder? A diet? A lifestyle. My life as an adult with PKU. I wanted to give a quick update on the opportunity that I mentioned in my previous blog post. Plans have changed. I WILL be pursuing this, so wish me luck! I will provide more information later. 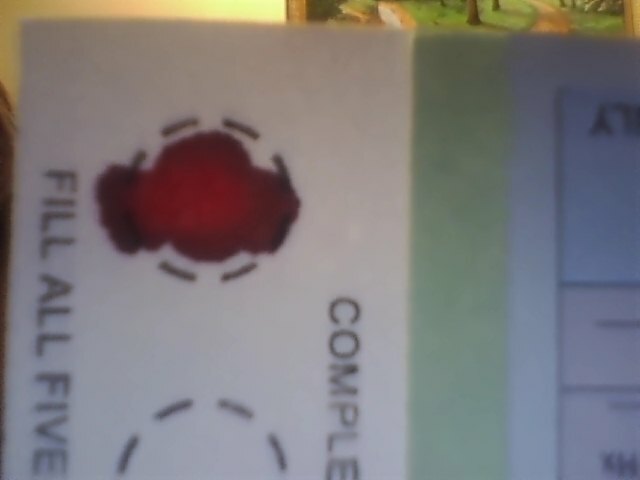 I can officially do my blood tests on my own! I know this might seem lame, and to most people this will not seem like much of an accomplishment, but when you are absolutely terrified of needles it is. As a child I remember doing everything I could to avoid blood tests. You name it, and I probably did it. The first time I willingly allowed anyone to draw my blood was not until I was sixteen and at PKU camp. This only occurred after coaxing from other campers and one girl agreeing to hold my hand, and it was just within the last few years that I felt comfortable with getting the blood onto the filter paper after being poked, so trust me when I say that this is a huge step. It all started two weeks ago at my PKU clinic appointment. My dietitian wanted to see where my phe level was at, because I had bee n out of Kuvan for three days (by the way it was 0.3 mg/dl, which is confusing since I thought my level would increase without Kuvan). To be honest I didn’t want to ask my dietitian or anyone else in the office that day to poke me. I wanted to do it on my own, so I did. Last night I attempted to do another blood test to make sure the first wasn’t a fluke. If you can’t tell from the picture to the left, it did not turn out as good as I had hoped. After five minutes of trying I wasn’t even able to fill one circle. I had to redo the blood test this morning. At least I was able to poke myself though. I guess next time I just need to poke a little bit harder LOL. I am a twenty-three year old adult with PKU. I was diagnosed at nine days of age and have been treated every since. I also have two younger sisters who have PKU. In addition to studying early childhood/elementary education with a minor in creative arts, I also dance on my colleges dance team, work in a child care center and as a youth dance instructor, and function as the organization director of the PKU Organization of Wisconsin, Inc. I am also in the process of opening my own business (a dance studio--primetechniquedanceacademy.info). I know this problem, but be sure, you will get used to it. Why don’t you try taking blood after showering? My experience is that it’s easier to fill the circles cause the blood circulation is better. That is usually what I do, but I think I had waited so long that my body was no longer warm from the shower. The information on this blog is based on Breanna's personal experience as an individual living with PKU. In no way should the information provided on this blog replace the advice of a medical professional. Enter your email address to follow this blog and receive notifications of new posts through email.